We all mess up occasionally; it’s part of learning. But when a mistake is made in the front garden, it’s impossible to miss. Back in spring, I sowed several varieties of sunflowers, labelled them and grew them on in the polytunnel. Eventually, two dozen would be planted out on the allotment, several in the back garden and three in the front garden. Every year, I take pride in putting on a display in the front garden. 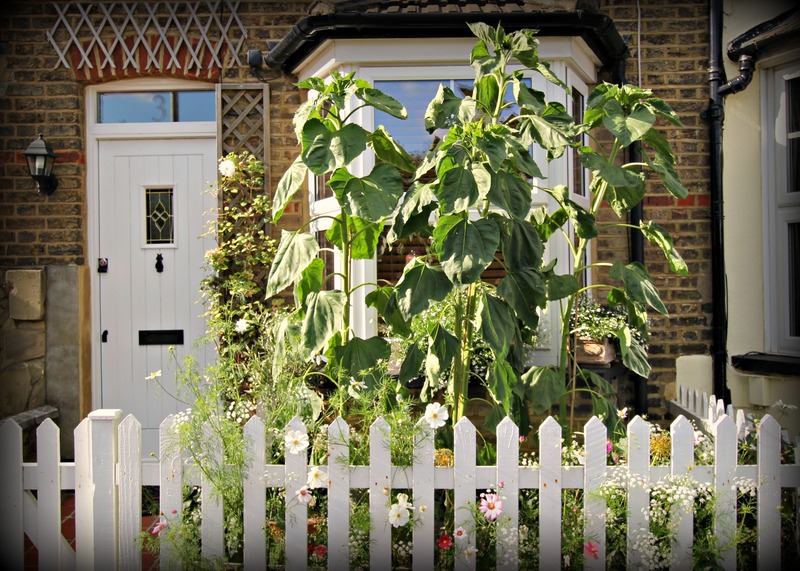 Last year, I had a couple of ‘Harlequin’ Sunflowers in the front. With a brilliant burnt orange colouring, repeat flowering and a height of five feet, these were perfect. Set between the Bishop’s Weed and Cosmos, we got so many compliments from neighbours, I was onto a winner. So this year I thought I would repeat my success story. 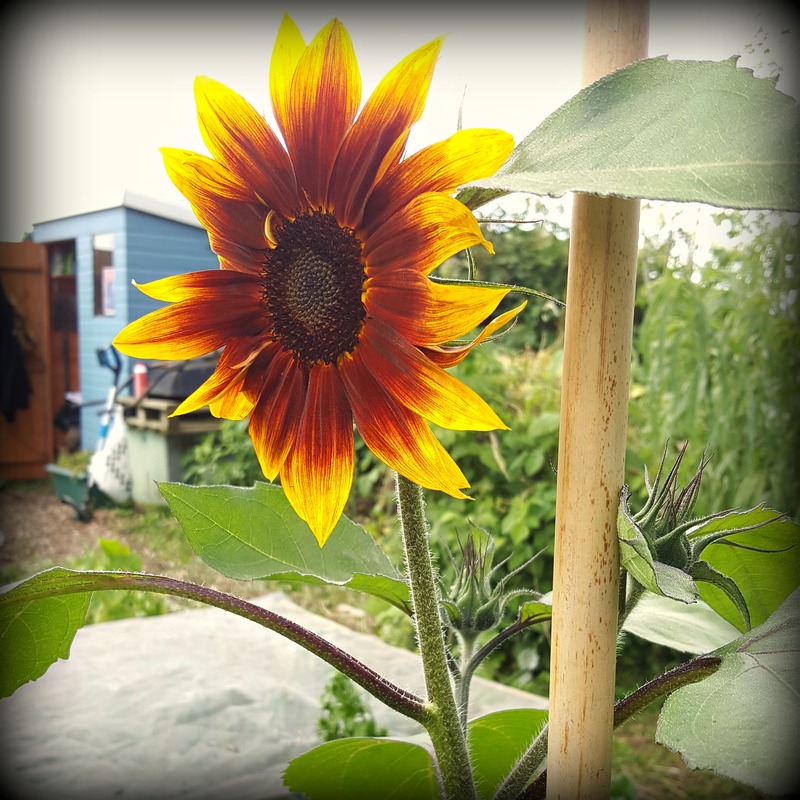 When the time was right, I took all my sunflowers out of the polytunnel, planted the tallest variety, ‘Kong’, in the allotment, brought the others home and planted them out in garden. Job done! A few weeks on, I realised something wasn’t right. Up at the allotment, my ‘Kong’ sunflowers seemed to be stunted while in the front garden, my ‘Harlequin’ sunflowers were reaching for the skies. ‘Must be all this rain we’re having’ I convinced myself.. How wrong I was. Now in mid-July, it’s clear I got my labels wrong. 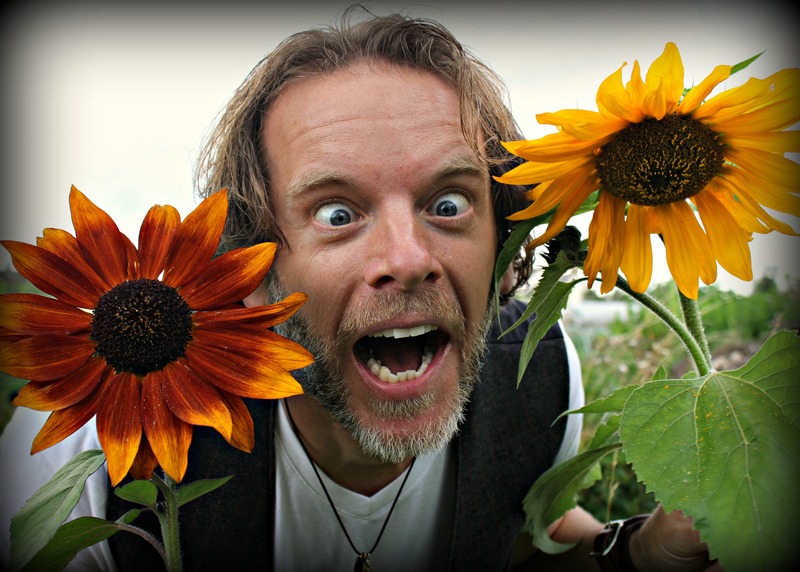 While the blooms are starting to emerge on the allotment, my front garden sunflowers have passed the seven foot mark with still no sign of the flowerhead. Yep, I planted the giant ‘Kong’ variety in our minuscule front garden. Oops! I don’t know where the error happened. Everytime I try to retrace my steps, I’m still none the wiser. How? I continually offer my excuses to passerbys, who look on in a state of bewilderment. I plead to them, it was an easy mistake, it could have happened to anyone. They want none of it and quickly walk on, avoiding my desperate eye contact and thinking I’ve got some sort of ‘size’ issue. Well I’m not going to be ashamed of my giant sunflowers anymore! Big or small, I’m proud of my summer blooms. From this day forth, I will leave the house with my chest puffed out and my head held high. It was my mistake and I’m going to embrace it. Next year, I might stick to something a little less monstrous though. Oh well, onwards and (ever) upwards. Oh, too funny! 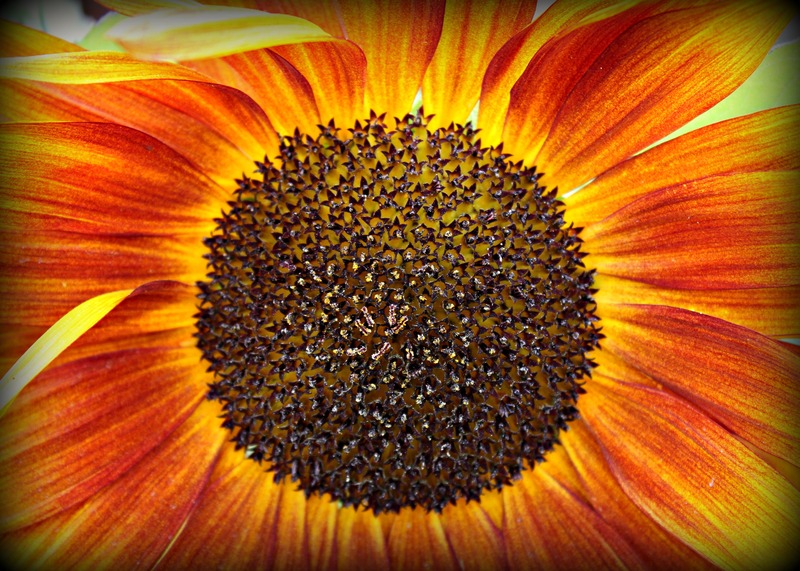 Mistakes happen, and not all of them are as lovely as the too-large sunflowers.